Born in Wellington in 1910, Pickering was sent to Havelock at an early age to live with his grandparents after his mother died. His grandfather was a coachman and both grandparents worked on the land to subsist so as a boy the young rocket scientist learnt to appreciate the small things of life. He soon began attending Havelock school from where he received a scholarship in standard six to Wellington College. He was always keen on reading and sport but according to his reports science and English were not his strong points. It was not until he was encouraged by an uncle living in California to study in Pasadena that Pickering began considering a life overseas. After obtaining a B.Sc. he commenced a teaching fellowship at Caltech and in 1936 gained a PHD. 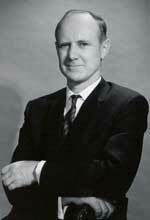 Some of his greatest achievements have been the extensive work he and Nobel laureate Dr. Robert Millikan put into researching cosmic rays, his role in the creation of the Corporal missile and management of unmanned flights within the solar system An American citizen since 1941, Sir William Pickering has held the positions of Professor of Physics in Pasadena, Director of the jet Propulsion Laboratory and a member of the National Committee for Aeronautics yet he still attributed much of his success to his learning within New Zealand. Surprisingly, Pickering continued scientific work even after his retirement. He was involved in research on pellet fires which he made famous in his retirement. Sir William died on 17 March 2004 leaving a legacy of achievement which both New Zealand, NASA and the world can be proud of. President of Caltech University, Thomas Everhart said of him, "More than any other individual, Bill Pickering was responsible for America's success in exploring the planets an endeavour that demanded vision, courage, dedication, expertise and the ability to inspire two generations of scientists and engineers".